In this way, Yunus Emre begun to pile up sorrow within himself for reasons which are unknown. The more his sorrow increased, the lonelier he became in a crowd. This loneliness, even among other people, was his sole friend; he was now the close friend of those who sorrow. In his village, if someone had sorrow and was in misery, Yunus would visit eagerly to share the sorrow, no matter who the person was. From that time on, everyone's sorrow, everyone's difficulty turned out to be Yunus Emre's own sorrow. He prayed to the Creator to help those who found this strange affliction in themselves: with his prayers to God Yunus sought a remedy for their sorrow. Hajji Bektash asked Yunus if he would accept a nefes, the secret breath of a blessing, instead of a cartful of grain sacks, but Yunus' mind was on his villagers who were starving. Then Hajji Bektash increased his offer, “We will give you ten nefes for each wild pear you brought us.” Since Yunus had never heard of a nefes before, nor could he even imagine its extraordinary bliss, he chose the grain and seeds, and Hajji Bektash gave him the food instead. As soon as Taptuk heard what Yunus said, he rushed to embrace him with tears in his eyes, then he turned to the dervishes who had beaten Yunus and said angrily, “You tried to kill him, but I told you to beat him. Now I have heard what I wanted to hear.” Taptuk Emre himself cleansed Yunus' wounds and healed them; he never had him fetch wood for the dergah again. Yunus replied, “First, tell me in whose name you prayed.” They answered they had prayed in the name of a dervish called Yunus from Taptuk Emre's dergah. Yunus traveled to Syria and Azerbaijan as well as through Anatolia. Sariköy, the place of his birth, is also the place where he died. Though several towns in Anatolia claim to possess Yunus' mazar, his tomb, they are, in fact, his maqams, his spiritual stations in the world, places where he might have stopped to rest during his travels, where he might have visited people to discourse to them. 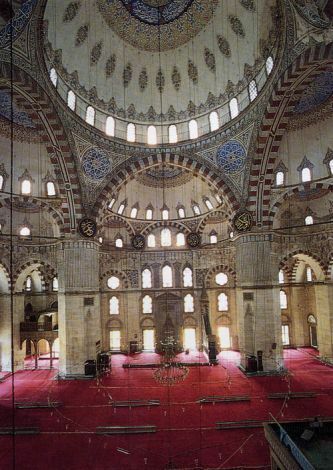 The reverence for these places reveals how much the people of Anatolia valued Yunus, how they accepted and loved him. In fact, they appreciated and understood him well, aware that Yunus was truly close to them, and so they embraced him. He was, indeed, that friend who was conscious of their sorrows, their difficulties in life; he never separated himself from their reality. Furthermore, he was the only poet of his time who turned his face towards them, composing his poems in their spoken tongue. He implicitly explained the most complex, the most profound and perplexing truths to the people in their own language, making it easy for them to understand what he conveyed in his poems.